Prednisone is one of those drugs that provides us with relief if we are inflamed but also has some less than desirable side effects. I have taken prednisone for my asthma for years when I would get sick with bronchitis. That was usually a 60mg taper dose over 8 to 10 days. Since January 4th, I have been on 5mg of Prednisone every day for my inflammation caused by Rheumatoid Arthritis. As someone who has had weight loss surgery and lost over 200 pounds, being on prednisone for a long period of time causes me anxiety because of the potential for weight gain and the prednisone cravings that I get. 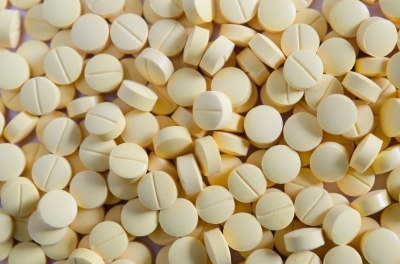 Prednisone is a steroid medication that is used to treat inflammation, allergies, and chronic illness. It can also be used in some forms of cancer treatment. Some of the long list of side effects for prednisone consist of: depression, headaches, dizziness, muscle aches/weakness, rapid weight gain, fast, slow, or uneven heartbeat, stomach issues including pain, nausea, increased appetite, mood swings, trouble sleeping, round puffy face, and swelling of the hands. These are the main side effects according to the medical information. Being on a steroid such as prednisone for extended periods of time can cause adrenal gland issues which may be present if you have blurred vision, increased thirst, uneven heartbeat, fainting, increased urination, and increased anxiety. These are side effects you want to make sure to mention to your Doctor. Prednisone is also one of those medications that you can’t stop suddenly. You will need to ensure that you taper off the medication under your Doctors orders to allow your body to adjust to the decrease in the steroid in your system. Even at low doses such as 5mg, you will still need to taper down the medication. When I have been on higher doses of prednisone I usually can expect hot flashes, constant cravings, moodiness, and insomnia. With this 5 mg of Prednisone, the Doctor said that I wouldn’t experience many side effects but I have still had the cravings and moodiness. I think my family would like it very much if I was off the prednisone so that I would not be so short tempered and “cranky”. Prednisone and I have a love/hate relationship. I love that it helps me breathe better and it eases some of the joint pain and inflammation that I have. However, I hate the side effects especially the moodiness and weight gain. Since last fall when I was on so many higher doses prednisone tapers because we didn’t know the cause of my pain and that seemed to help, I have gained about 10 to 15 pounds. I have been working to get that weight off but doing that while on prednisone is almost like battling yourself constantly. It is almost impossible. I am hoping to start tapering down to 4mg this week to try and get off this hateful medicine and hope that it doesn’t cause the inflammation to come back.